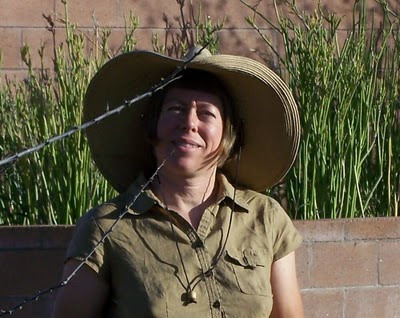 Orchid Black, shown from a recent tour of the Nature Conservancy's Rainwater Harvesting Demonstration site in Tucson, AZ. thorough treatment (get it?) of water in the garden. We’ll be covering swales and earthworks, as well as appropriate use of greywater and rainwater harvesting, along with the basics of native and drought-tolerant planting. All aspects of sustainable backyard food will be addressed. elective) to allow her to develop the important issue of water conservation more fully and allow students to come to a deeper understanding of sustainability in our world. I've actually been eying the certificate program at UCLA Extension and was interested to come across your post. I'm curious how far this course --and other courses offered as part of the curriculum-- might go in helping expand the breadth of knowledge for young professionals considering a career change.